SusieQTpies Cafe: Giveaway: Dreamworks Pictures Real Steel Prize Pack! 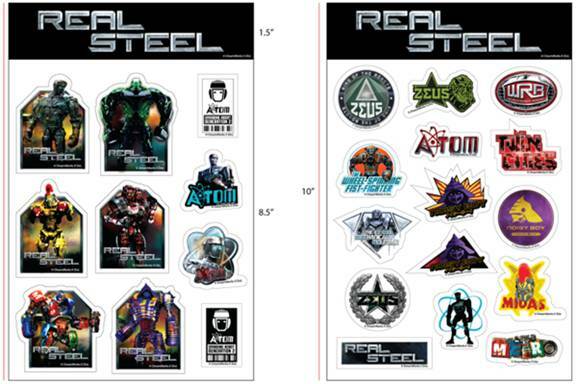 Giveaway: Dreamworks Pictures Real Steel Prize Pack! 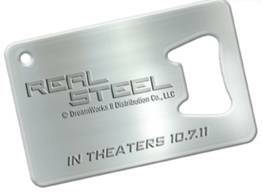 Dreamworks Pictures REAL STEEL opens in theaters on October 7th! This action packed film will be for the guys in your family! This movie is being called a good father-son movie. I know my husband will be there to see it! In celebration of its debut in theaters, Dreamworks Pictures is giving away a Real Steel Prize Pack to one of my readers. 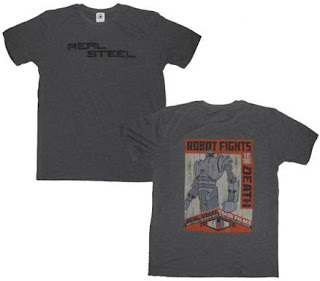 Dreamworks Pictures Real Steel Movie Synopsis: A action ride set in the near-future where the sport of boxing has gone high-tech, “Real Steel” stars Hugh Jackman as Charlie Kenton, a washed-up fighter who lost his chance at a title when 2000-pound, 8-foot-tall steel robots took over the ring. Now nothing but a small-time promoter, Charlie earns just enough money piecing together low-end bots from scrap metal to get from one underground boxing venue to the next. When Charlie hits rock bottom, he reluctantly teams up with his estranged son Max (Dakota Goyo) to build and train a championship contender. As the stakes in the no-holds-barred arena are raised, Charlie and Max, against all odds, get one last shot at a comeback. “Real Steel” is directed by Shawn Levy (“Night at the Museum” franchise and “Date Night”). To enter click the below READ MORE! Thanks to the sponsor for providing a prize package to one of my readers. No compensation given for this post. I plan on seeing it once it comes to DVD. Yes,I wil see it when it comes out on dvd. I would love to take my kids to see it before it leaves theatres!! I plan on going to see it and I want my sisters to go with me.